Interview given to Business Standard. Sir, you have been a target of a concerted campaign by a section of historians and academicians. The allegation against you is that you have been appointed to appropriate history to suit RSS’s notion of history. Even Amartya Sen had said that you have not done any worthwhile historical research. What do you have to say about it? A : Prof Amartya Sen’s coin, ‘Argumentative Indian’, very well applies to the present generation of Indian intellectual class. 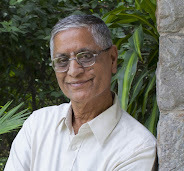 Ancient Indian intellectual tradition was based on Tarka wherein two discussants would put forth before the assembly of scholars what all they know about the contested topic supported by pramana. The merits and demerits of this intellectual exercise were assessed by the collegium and one would gracefully acknowledge the weakness of his proposition. The judgement was objective and impartial. You can take the example of Sankaracarya and Mandana Mishra where Mandana Mishra’s wife was the judge. Mandana Mishra accepted his defeat, took to sanyasa and became Sankara’s disciple. The present class of ‘argumentative intellectuals’ thrive by condemning others and their views. Their arguments mostly follow their political ideologues. The idea of ‘appropriating history’ is generated from the idea of political aggrandizement. One becomes vocal and vociferous when he imagines a threat to his holding. Not being an ‘ Argumentative Indian’, I might have disappointed Prof Amartya Sen and the like. Their disillusionment is unbearable to them that they set aside minimum decency and courtesy to condemn the other without atleast knowing about him. However I thank them for showing interest in me and I take their comments in good stead for my introspection. In one of the interviews, you have said that there was a need to look history from an Indian perspective. What is the problem with the Marxist or for that matter Western narrative or approach to historiography? Why at all there is a need for an Indian perspective? A: Your question itself says that we have been ‘looking’ at our history from the Western window. The post independent historiography till now is dominated by the Marxist thought. All our historical perspectives are based on the Western theories on society, economy and culture. We can easily identify the birth of these social theories in the ‘Enlightenment Era’ in Europe. These theories and understandings, are, thus, based on the European experience limited to a few centuries. Even if we apply empiricist methods of Social Sciences to the historical studies, the wider sample is always desirable. In such case, India offers a huge corpus of inscriptions, artefacts and monuments dating back to atleast 4 millennia. The much developed orature backed by continuous, well developed civilization, stable society, prosperous economy and diversified religious practices, profound knowledge systems and philosophies from times unknown must be more welcome for an unbiased historian to work on. Let us see history as it stands before us without using a coloured glass in the guise of ‘proper’ perspective. General people believe that intellectuals would lead them to know what is/was real. We historians have greater responsibility than a general intellectual. According to newspaper reports, there is an effort to push back the antiquity of the Vedas by some Vedic scholars. Is ICHR associated with this project? What is your idea of the antiquity of the Vedas? A: Vedic studies is not a recent phenomenon. The study of Vedas has been continuous since times much before our ‘historical’ period has begun. We need not try to ‘push’ its antiquity backwards. The efforts of dating Vedic literature by the Western scholars and English knowing Indian scholars are also known to us from atleast two centuries. In the pre-independence period, the problem drew the attention of both Colonial and National intellectuals and in the post independent period the Marxist school took the brief from the Colonial and Imperialist school coming in the way of every sincere effort to find the truth. Not only archaeologists, many other scientists belonging to disciplines, geology, anthropology, astronomy etc have attempted in their ways to find the antiquity of ancient civilization in India. A scientist searching for truth must be open minded to accept what comes out in his research. The present trend of hypothetical research and trying to justify our own hypothesis does harm historical studies. A historian should allow himself to be led by his data. He should not resort to select data to confirm his opinion. Marxist school starts with the assumption that the present is definitely better that the past. This determinism conditions the writing of history. While Marx could substantiate this linear progression with his understanding of European past, India offers a totally different picture where astonishing culture and civilization coexisted with uncivilized but cultured tribal life each thriving in peaceful coexistence. Civilisation too had several levels of development simultaneously at several pockets. The same phenomenon still continues in India while the West has gone for a uniform pattern. These aspects of Indian life and culture offers great inspiration and scope to the present genre of historians to work on. This move will bring back the debate on the Aryan invasion theory. What is your view on the Aryan invasion theory? The fathers of this theory have denounced it after they realized during the Second World War that they burnt their fingers. But it was continued in Indian intellectual circles further for some years in the post independent era but they too had to moderate the theory as ‘Aryan Migration’. Colonial mind is deeply entrenched in Indian psyche that they some how want to keep it alive for purposes better known to them.